The kawaii culture in Japan is everywhere and it’s near impossible to not encounter any form of cuteness in at home, in TV, in newspapers, on the streets, products we use daily or in television. 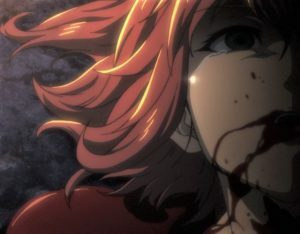 And even on very depressing or gory stories in anime, there will be some form of kawaii element like a cutely drawn picture covered in blood that was oddly focused by the camera, or a character briefly broke tension by doing something silly like pulling out a lighter with a worn out cute anime girl sticker on it, or a cold-hearted killer somehow transformed into a cute and innocent girl when not provoked. Now then, the term kawaii can be anything showing cuteness, or that gives you that “Awww!” factor like the blushing of a tsundere in denial, a high pitched voice, or, you find cuteness from a girl crying in pain as her legs were crushed by falling debris. Hey, the last part is not a quick comedic jab; it happens! And we’re not judging! 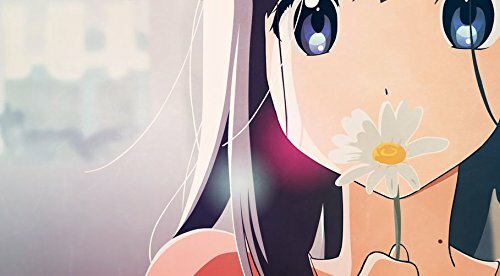 Before we end up going elsewhere, Honey’s Anime will update the previous Top 10 Kawaii/Cute Anime list by adding new kawaii-centric shows that came out pretty recently. 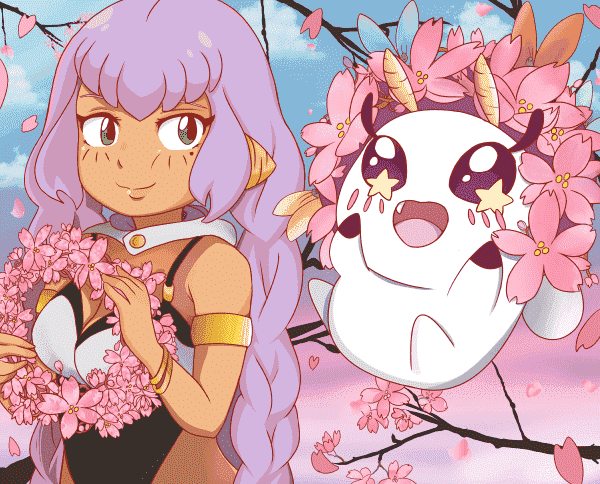 Anything kawaii is allowed, but since we couldn’t fit in all kawaii shows in one list because there is a stupidly large amounts of kawaii anime out there, we’re going to list we think are one of the best and worth checking out. Let’s jump straight right in! 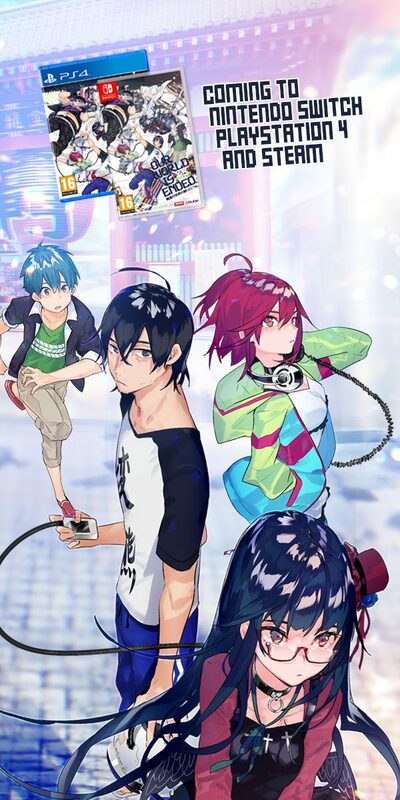 Kashiwagi Sora is a diligent young boy living alone while his father is out travelling the globe looking for adventure. Sora sometimes receives exotic souvenirs from his dad that are usually cursed objects out to kill him. 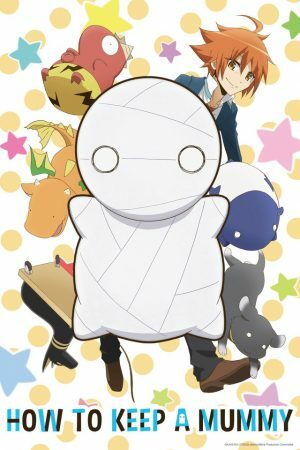 This time though, Sora has received a huge coffin from his dad and what’s inside is not Dracula or Ramses II but rather a palm-sized mummy whom he named Mii-kun. So a coffin with a cross, excavated from Egypt and there’s a tiny mummy inside of it… Yeah, we know, Japan is weird. But that what makes Japan great though because you’ll never know what crazy and unique stories they’ll cook up next! Right then! At its core, Miira no Kaikata is a cute and cuddly story of master and pet with a dose of serious character background and origin. Fortunately, the cute stuff is abundant in quantity, very inoffensive that you’ll have the urge to grab your pillow, or pet, or anyone close with your arm’s reach and cuddle them non-stop. Much 3D. So Doge. 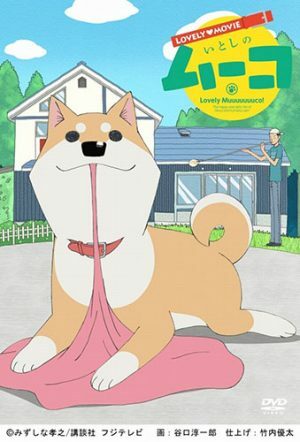 Muco is an energetic Shiba Inu who loves her owner Komatsu very much and the show is mainly about our cute dog doing cute doggie things every day. You’ve seen the memes, you’ve seen videos from popular Twitter and Youtube personalities, and you’ve read an article about a dog managing a store in Japan; the Shiba Inu breed is quite popular and it’s still a popular breed with or without the Doge meme. Itoshi no Muco isn’t an accurate portrayal of a typical life of a Shiba Inu, but it’s nonetheless a cute show of the energetic Muco and her daily adventures with her human master, as Muco tries to figure out what is her master trying to or say. The show lacks any story, but that’s not the point of Itoshi no Muco. If you’re looking for anime featuring cute dogs, then Itoshi no Muco is the best pick, especially if you’re a fan of the Shiba Inu breed. In a seemingly normal kitchen with seemingly normal bananas, one of the bananas started moving. As it turns out, there was a cat inside the banana, and apparently every banana in the kitchen are cats! This rare wildlife observation focuses on these banana cats, and the star of the group is named Bananya, and he wants to be covered in sweet, sweet chocolate! 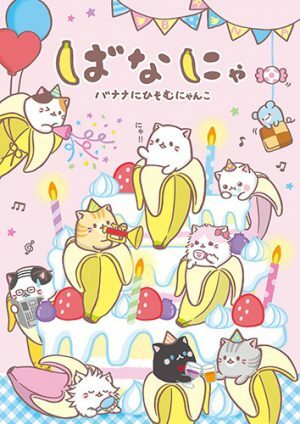 Now don’t worry, Honey’s Anime didn’t forget the cat lovers, so here is Bananya, a cute short anime about banana cats playing in the house when the humans are away. Each episode is 3 minutes long, but it’s packed with cuteness that you many end up getting type 2 diabetes. And the short length of the episodes make Bananya a perfect intermission between anime shows, or a great way to relieve stress. If you’re feeling guilty for eating bananas now, then, well, we don’t blame you. Ryuuichi’s parents have died in a tragic plane crash and he is left alone to take care of his baby brother Kotarou. But one day, Ryuuichi has received an invitation from a chairwoman from an elite academy to be their guardian. There is a condition, however—Ryuuichi must earn his stay by becoming a babysitter for the children of the school faculty. 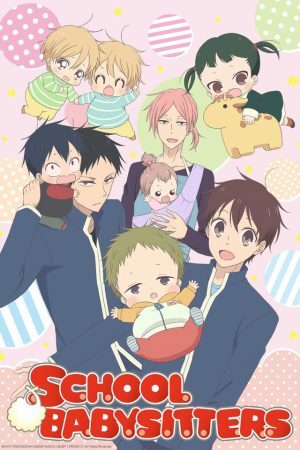 It’s sort of a cheap trick to list an anime about cute babies in a list about kawaii stuff, like it’s similar to you holding your baby sibling to impress a girl in school that you’re an adorable and gentle guy but Gakuen Babysitters is… uh… actually that. 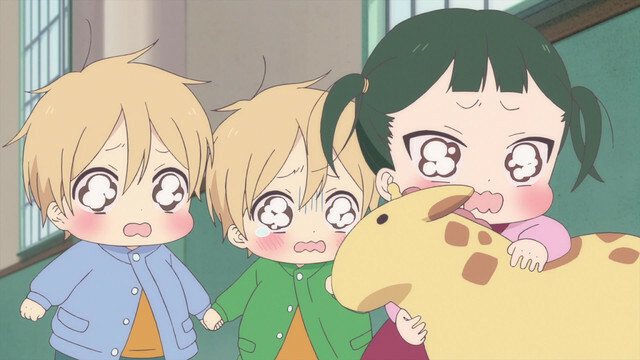 Then again, the list is largely composed of shows featuring girl-only casts… *ahem* It’s not like we’re downplaying the anime and Gakuen Babysitters didn’t paint these babies as innocent angels because there are very funny moments involving Ryuuichi having to take care of his baby brother while having to deal with these little hell spawns from the school’s faculty. Babysitting is chaotic and hellish, but it’s cute to watch the little devils run amok around the daycare and breathe a sigh of relief that it’s Ryuuichi doing all the hard work, and not you. H-Honey’s Anime loves babies, by the way! Just saying! Yuzu, a young fox girl, arrives in a small, peaceful town populated by humans and animal spirits alike. Accompanied by her guardian Bikuni-sama, Yuzu goes uphill to the magnificent hot springs inn named Konohanatei to work as a new attendant. At Konohanatei, Yuzu befriends other fox girl attendants as they greet and serve the visitors—be it human spirits, animal spirits or even gods—and help them heal their tired bodies, and rejuvenate their souls with the calming hot water and relaxing atmosphere of the Konohanatei inn. 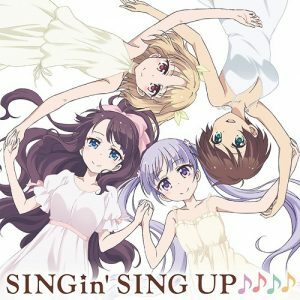 It’s just a cute-girls-doing-cute-things show, but this time with a supernatural twist involving beings based on Japanese folklore, and has a more serious tone compared to the happy-go-lucky shows we’ve listed. Konohana Kitan certainly has lots of kawaii moments revolving around Yuzu getting used to working at the inn, to her meeting new people with a story to tell, and interacting with the rest of the fox girls working at the inn. 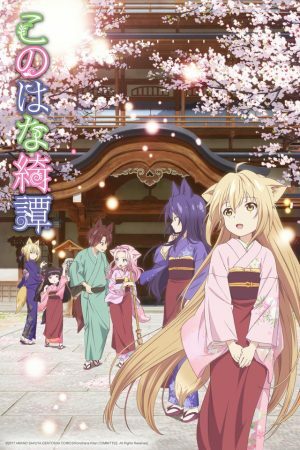 And just like the premise of the story, Konohana Kitan has healing properties that you feel rejuvenated after watching an episode. 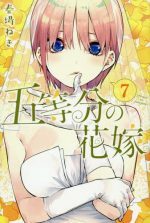 The story revolves around Ichinose Hana, a shy girl who is about to start her new life in high school. There she meets new friends and new experiences, and maybe perhaps, her new life may finally fix her introvert personality. 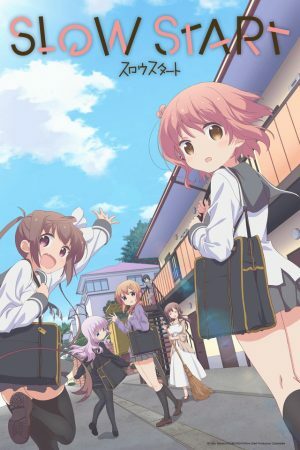 Slow Start is comparable to other slice of life shows featuring an all-girl cast like Gochuumon wa Usagi desu ka?, Non Non Biyori or Kiniro Mosaic. Argue all you want, but these types of shows exist because Japan loves cute things and there is nothing more adorable than watching a group of girls doing mundane everyday things while doing something random like one of the girls is attracted to older women, especially if they’re a teacher. Slow Start has your typical slice of life quirks but with some yuri bits like the aforementioned girl who is attracted to her teacher, so the anime can be watched for either the cute girls stuff to the student-teacher teasing. Oh, and the animation quality is so very good! Some would say Hirasawa Yui has some few screws loose because who in the right mind would join the Light Music Club on their first day of school without knowing how to play a musical instrument? 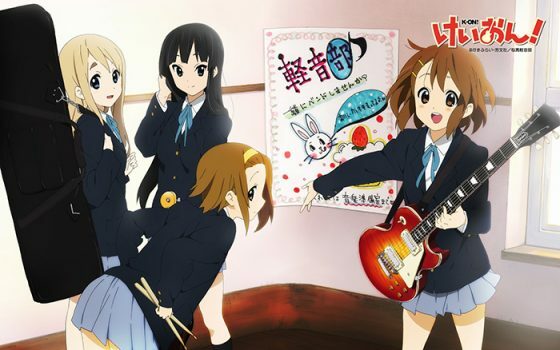 Jokes aside, Yui is fascinated by the idea of playing music, so she signed up, and as the club grew with other members, Yui steadily learns to play the guitar and the club start making headway in creating new songs while lazing around drinking tea, and eating sweets. 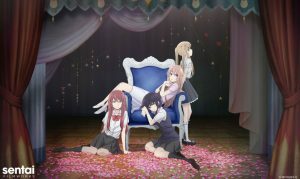 Kyoto Animation has produced many outstanding shows, and a lot of them are slice of life shows that will make you laugh, or cry, or giggle in delight with their adorable cast of cute characters. In fact, Kyoto Animation can fill up this list with their shows quite easily, but for the sake of not turning this into a Top 10 Kyoto Animation Anime Shows, we’re going to pick at least 2 of them and we’ll start with K-On!. K-On! is your typical slice of life show featuring a group of girls managing the light music club. 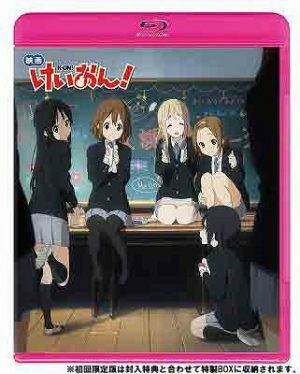 While there are music-related stories within K-On!, and the music nerd in you will yelp in joy when seeing real-life musical instruments from famous brands, majority of the episodes are focused on each girl’s personality and how they interact with each other. Each character has their own quirks that you find absurd to the point every actions they take are adorable, or in this case, kawaii like Yui sleeping together with her guitar named “Gitah” and constantly clinging on to Azusa, or Ritsu mistaking Mio’s mails as love letters. Each episode is filled with cuteness that sometimes you often forget that K-On! is about music. 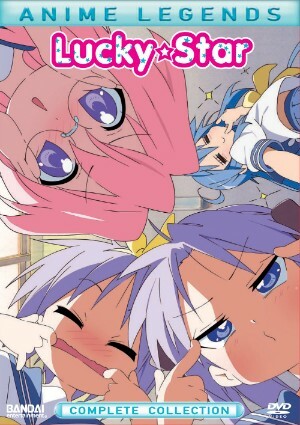 Lucky☆Star is a slice-of-life show about four cute high school girls going about their daily lives. Konata is the resident otaku, Kagami is the responsible big sister and resident tsundere, Tsukasa the sweetest little sister around, and Miyuki, the smart, well-mannered and big-breasted girl. Another Kyoto Animation creation, Lucky Star is another slice of life show about a group of girls going about their daily lives. The differentiator here is Lucky Star is more on otaku culture with 4th wall-breaking jokes referencing other anime (most notably KyoAni’s Haruhi no Suzumiya no Yuutsu), gaming, and the typical life of anime fanatic in Japan. 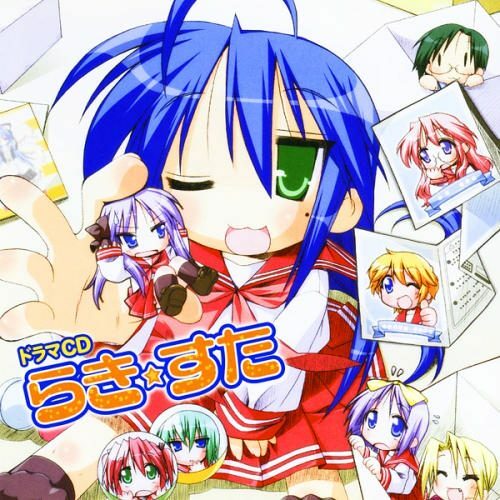 Konata, Kagami, Tsukasa and Miyuki take on popular stereotypes like the girl gamer/otaku, the resident tsundere who, for some reason, couldn’t get a boyfriend despite her cute looks, the meek and clumsy little sister, and the classy, yet clueless rich girl. 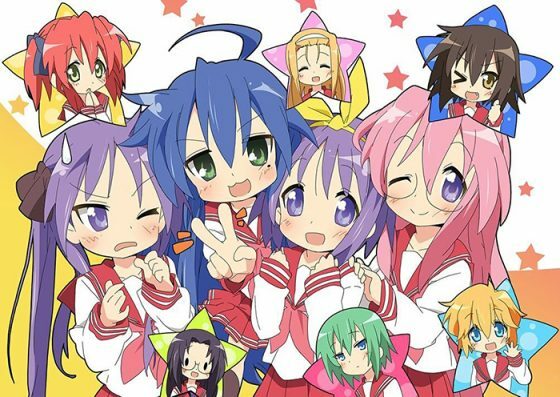 Lucky Star may not stand the test of time because pop culture references will get outdated, but Lucky Star is a very kawaii anime with cute character designs, a vibrant color palette and talented voice actors that give these adorable girls souls. Yuuki Aine is a very eccentric girl who is helping her family run a cafe. Aine’s world has completely changed after she meets the top idol Minato Mio from the prestigious idol school Star Harmony Academy. 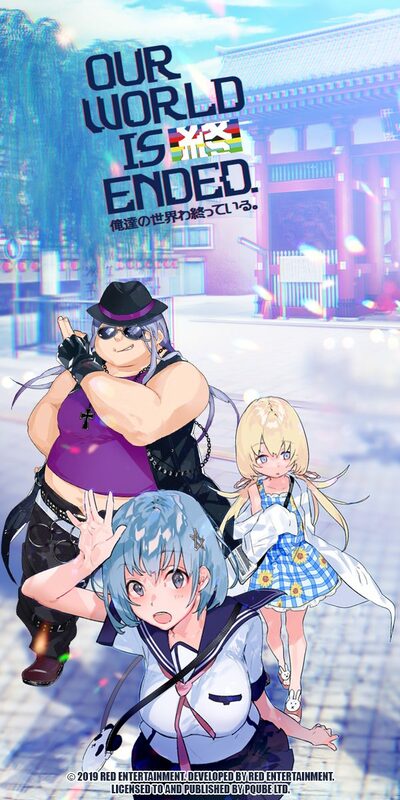 Mio has invited Aine to sing and dance together, and seeing her potential, Aine enrolled to Star Harmony Academy to become an idol to bring smiles to everyone. The Aikatsu! 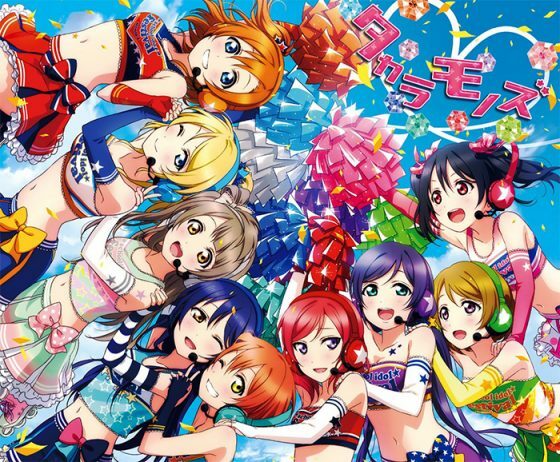 series is considered, by a lot of fans, as the imouto of big-name idol anime like Love Love! or The Idolm@aster because, unlike her big sisters, Aikatsu! is more focused on the lighter side and cute stuff with little to no drama involved. Aikatsu Friends! 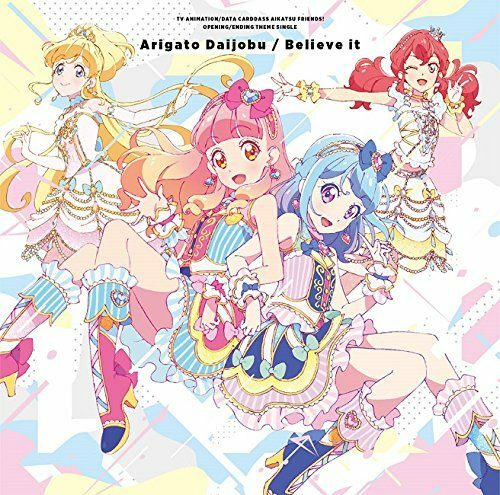 is the 2nd spin-off series and currently, they fixed the problems the other series had like focusing more on fewer characters, removed drama and hints of boy-girl romance, and more emphasis on Aikatsu!’s greatest strengths—idol activities and great music. The characters are extremely cute, but not in a way that is shoved into your face like a character who always trips, always acting tsundere, or a girl who wears frilly dresses and brags how cute she is. The cuteness of the girls in Aikatsu Friends! comes from within, meaning, you appreciate the girls through their action and determination of being the best idols who brings smiles to everyone. To give you an example: Mio is one of the most professional idols in the industry, but after she hangs out with Aine, we soon find out that Mio is clumsy at friendship because she was too preoccupied with work. We see her tries to be close to Aine by asking her to walk together to school, or work together to create the best dresses. 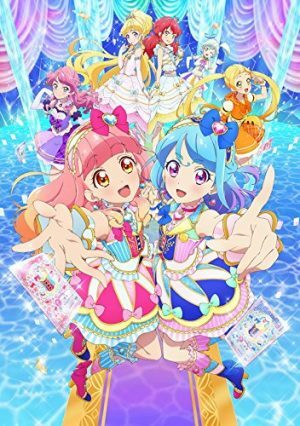 Idol anime is often serious, but if you just want to enjoy idol anime without the excess baggage of angst and drama, Aikatsu Friends! is the best pick. Sakura is your average middle schooler who is always full of energy, gets teased a lot by her big brother, has a loving father, a dead mother, has a best friend with a weird hobby and has a crush on someone who is older than her. One day, she stumbles on a book she saw in her dream, and upon opening it, the cards are magical and Sakura accidentally scatters them throughout the world. Keroberos appears before Sakura and told her that he’s the guardian of the Clow Cards, magical cards holding immense power, Sakura has released. What are they gonna do? Well, Keroberos has appointed Sakura the title of Cardcaptor and it’s up to them to find and retake the Clow Cards before they bring catastrophe to the world! 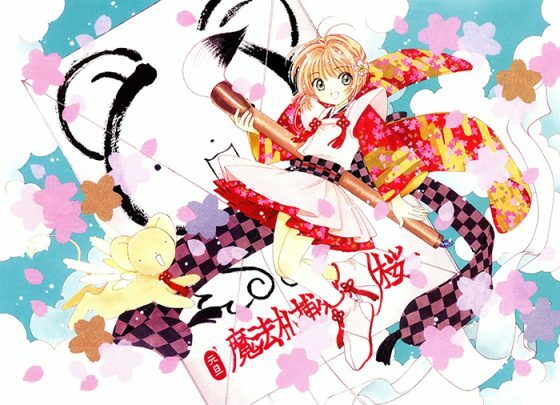 For many older fans of anime, Cardcaptor Sakura has a special place in their hearts as perhaps their very first anime they’ve seen. 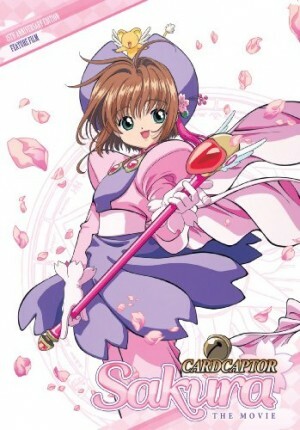 To some, Cardcaptor Sakura has taken them to many wonderful adventures with Sakura in her search to retake the missing Clow Cards, or probably the first anime that features a ton of cute frilly dresses. Cardcaptor Sakura is like a fashion show in a way with Sakura wearing different dresses in every episode, and that fact alone is one of the reasons fans love about the anime. Every episode will have you yelping “kawaii” every time you see Sakura in a dress more extravagant than the former, and the dedication of Sakura’s wardrobe designer and friend Tomoya will give you hints that Tomoya is obsessed with Sakura. In fact she is. But if dresses aren’t your thing, then the characters, especially Sakura are more than enough to give you a different dose of kawaii. 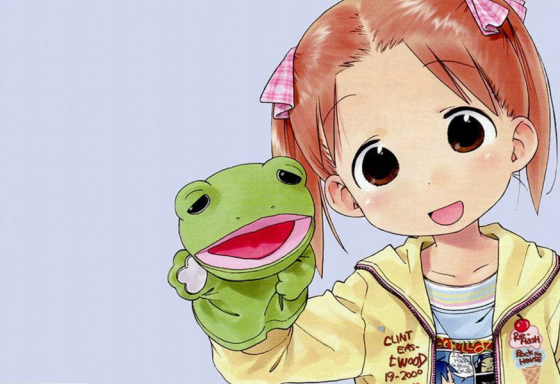 Story and strong characters are important, even in anime just wanting to be cute, and the novelty of kawaii quickly wears off when the object or person in question has no personality at all. 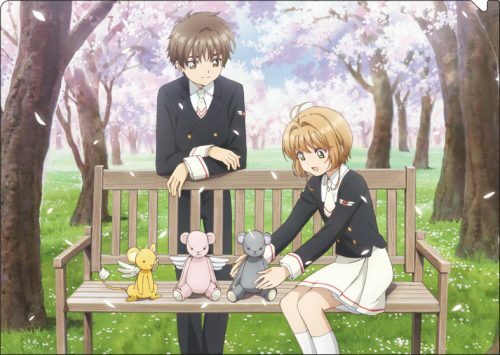 Cardcaptor Sakura (new or old) is number one on the list because not only Sakura, Tomoya, or even Syaoran are cute with their quirks like a girl in love, a stalking girl or a boy too stubborn to express his feelings. The novelty of kawaii is very plentiful all thanks to the various cute dresses Sakura wears in every episode. You’ll never get bored at looking Sakura and never get bored of her all thanks to a well-developed story and character arcs that keeps Sakura interesting. Oh and Protip: Do not watch the new Cardcaptor Sakura: Clear Card-hen without watching the first series because you’ll miss out on a ton of story and character development. So there you have it! What do you think of our updated list? 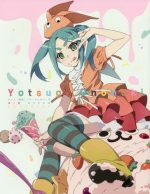 There are a huge list of kawaii anime in existence and this list, and the previous list has barely scratched the surface. What other shows you think fit in the kawaii category? Please make sure to share them with us by leaving a comment below! 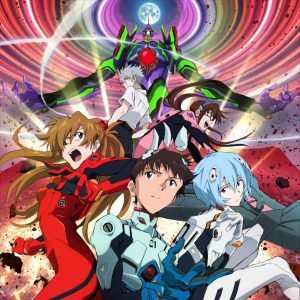 Today we have a special selection of Anime with a certain particularity that could be (and should be in my opinion) an Anime genre in itself. I’m talking about kawaii (cute) Anime. 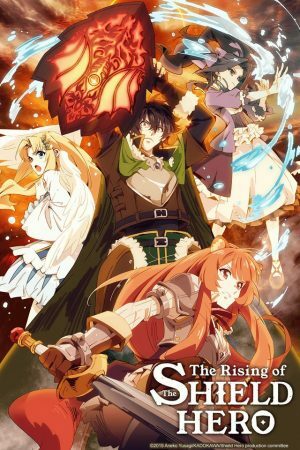 Usually, these type of shows are labeled as 'shoujo' and 'slice of life', but certainly not all 'shoujo' and 'slice of life' Anime are kawaii (and vice versa). For that reason, I believe kawaii should be considered an official genre to subdivide these shows that are increasingly popular. In the meantime, I will try and help those who are desperately searching for new and charming kawaii Anime (especially after the recent kawaii success, Umaru-chan). For those people who simply can’t get enough adorableness I present you my Top 10 Kawaii Anime! 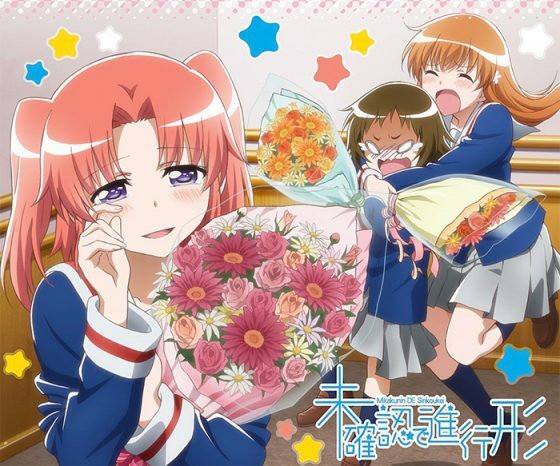 Mikakunin de Shinkoukei tells the story of sixteen-year-old Kobeni Yonomori, an average high school girl who has just learned she’s engaged to Hakuya Mitsumine, a boy of her age. Hakuya and his little sister, Mashiro, end up moving in with Kobeni and her older sister. All four of them will have to learn how to get along in this unusual and awkward situation. The show is inherently kawaii. All of the girls are really playful and everything they do is either silly or extremely sweet. Mashiro steals the show; she’s a great character and the smartest 9-year old you’ll ever meet. Everything about this show is just plain nice. Tamako Market follows the everyday life of Tamako Kitashirakawa, the eldest daughter of a family that runs a mochi (sweet rice biscuit) shop. She knows everything there is to know about mochi, and she is just as sweet as this traditional Japanese snack! 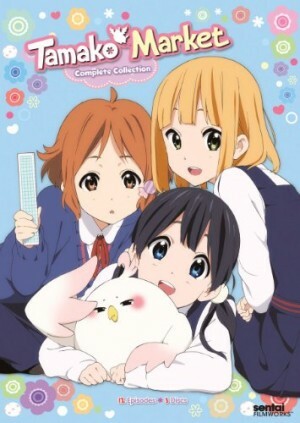 The show is about Tamako, her strict family, her friends and an overweight talking bird named Dela Mochimazzi. It is filled with cute girls, each one nicer than the next, and a very likeable and funny bird who certainly thinks a lot of itself. 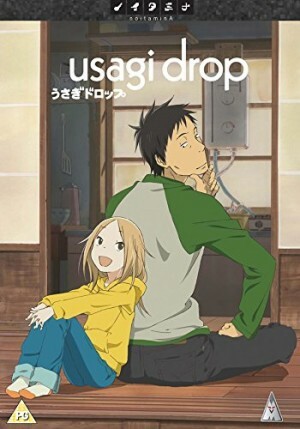 Bunny Drop is a far more touching Anime than any other on this list. It’s not the typical kind of silly, playing around, kawaii Anime but it’s still cute and charming as hell. 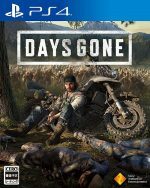 This is the story of a thirty year old single man named Daikichi Kawachi, who, at his grandfather’s funeral, learns of the existence of an illegitimate child his grandfather had. Knowing his family’s cruel intentions of giving her to an orphanage, Daikichi decides to take this six year old girl named Rin in adoption. Rin is a gorgeous little girl (similar in looks to Umaru-chan) who will captivate you and win over your heart. 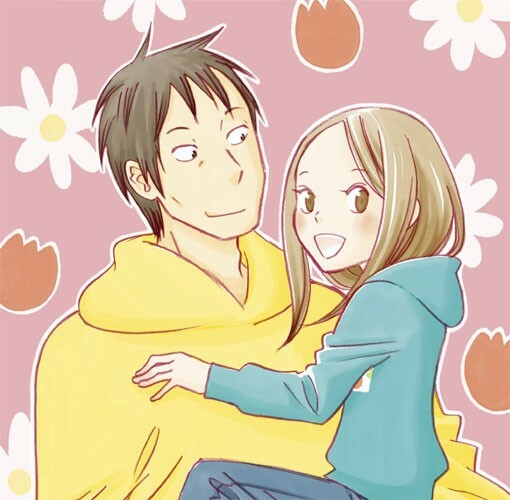 She’s a doll, helping poor Daikichi to be a good father. And Daikichi himself does not fall behind. He proves to have a golden heart, as he learns from scratch how to be a paternal figure and a positive influence on Rin’s life. 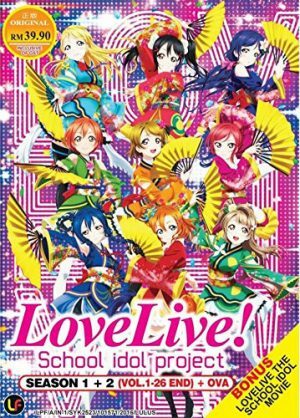 Because only few things are more kawaii than a bunch of teenage Japanese idols, Love Live School Idol Project had to be on our list. 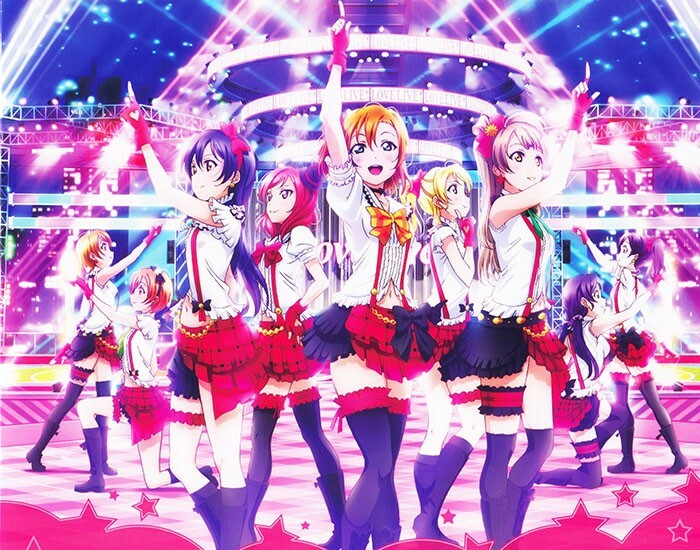 This is the story of nine high school girls who form a pop idol group named μ's in order to attract applicants and keep their school from closing. With commitment, positivity and a lot of attitude, these young girls will fulfill their ambitions, becoming huge pop idols in the process. Share these beautiful and dreamy girl’s hopes and dreams in this delightful show. 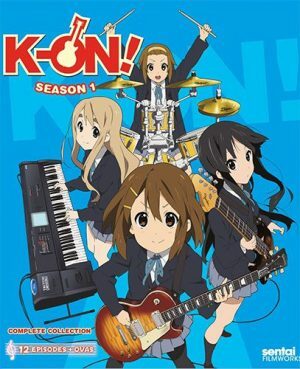 Probably the most popular show on this list, K-On is a successful comedy and slice of life show about four girls who play on the high school pop music band. Yui is the main character and the lead guitar in the band. She enters the music club thinking it will be a walk in the park, but far from being so she has to learn how to play guitar from zero. If you’re into Kawaii Anime chances are you have at least heard about K-On if you haven’t seen it already. It’s definitely a good choice for all kawaii addicts since it has pretty much everything you’re looking for in a cute show. The girls are joyful and playful. Yui is extremely talented but she’s also silly and every time she learns something she also forgets something. Also, the music they play is so full of life and uplifting that it’s impossible not to smile! 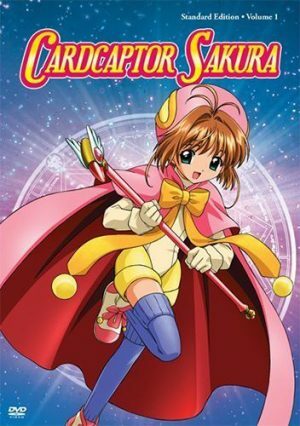 Cardcaptor Sakura is my personal favorite among the many Sailor Moon rip offs. It is also the best in my opinion and by far the cutest. From the very opening and the soundtrack to the characters and Sakura’s flashy costume, everything on this show screams Kawaii! And don’t even get me started on Kero. He’s the most huggable little flying mouse thingy ever! The show is about Sakura, an average nice and popular high school girl who accidentally releases a set of magical cards known as Clow Cards. Sakura is then assigned to gather the cards with her newly acquired powers and the help of her guardian Kero, fighting the personification of each magical card. The title of this show pretty much sums up all the kawaiiness (yup, I just made up a new word) in this show. 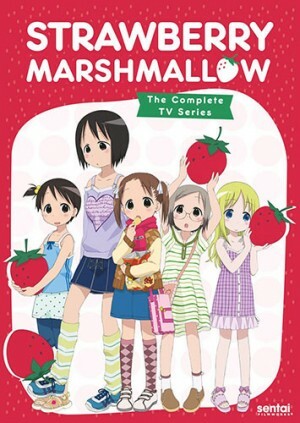 It’s about four little girls, Chika, Miu, Matsuri and Coppola, and a young girl who acts as their older sister, Nobue. 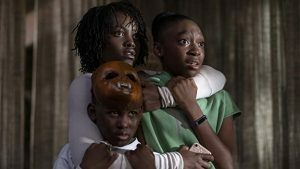 Together they go through a series of funny and silly adventures that quite often turn a little too bizarre and uncommon. The illustrations are straightforward cute and so are the main characters. Each one of the girls is special and funny in their own way. The older one, Nobue is a nicotine addict, while Chika is rather serious and uptight. Miu is the annoying one, Matsuri the shy one and Anna Coppola is the fashion girl in the group. So we definitely have all sorts of cuteness for everyone to choose from. Meet Konata Izumi, a lazy high school girl who’s only interested in videogames, Anime and joking around with her friends. The Hiiragi twins and Miyuki Takara are Konata’s best friends. All four of them go through the funniest situations on a regular basis. 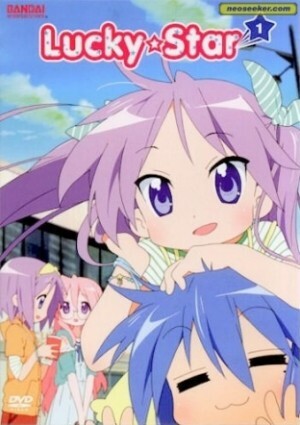 Lucky Star is one of the funniest shows on this list, and one of the cutest too. Merely judging from the characters looks, you’ll get right away just how much kawaii this show is. Everything about it is so pretty and the characters are all silly and childish and joyful and…and… OMG, it’s simply so nice to watch. Cuteness overload! Eat, sleep, game, repeat! That’s all Umaru Doma does every day after school. As a student, she’s perfect, bright, popular and refined. What nobody knows is that she’s quite the opposite at home. After school, she puts on her hamster hoodie cloak and turns into a little spoiled and lazy brat. She does little at home other than eating potato chips, drinking soda and playing video games. Of course, when she’s not doing any of these things, then she’s probably bothering her brother and throwing a tantrum so that he goes out to buy her the new manga volume. That’s pretty much what the show’s about. It’s quite simple and straightforward cute. 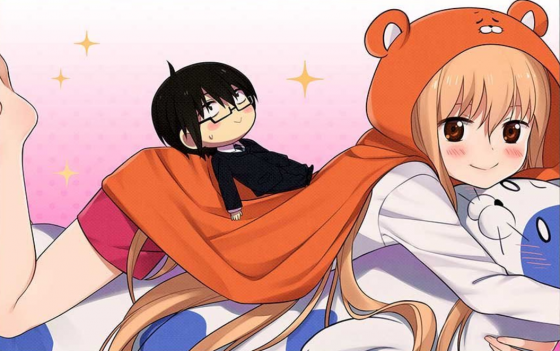 You’ll just fall in love with Umaru-chan and her playful view of things. 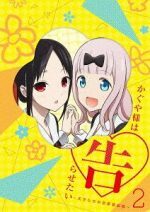 This is the funniest kawaii anime I’ve ever seen and my personal favorite on this list. So go ahead and give it a try if you haven’t already. 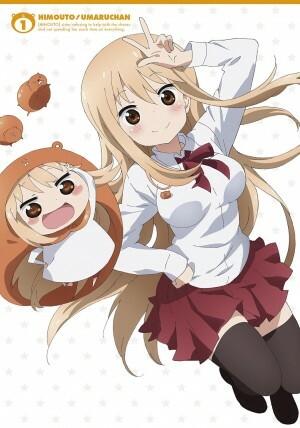 What could possibly be any cuter than our lovely Umaru-chan? How about this kindergarten where the most adorable little children compete for the attention of their male teacher? 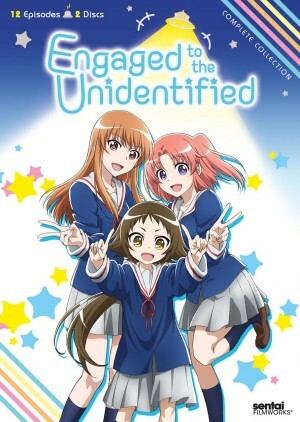 The lovely Anzu with the help of her new friends, the shy Koume and the peculiar Hiiragi, attempts to win the heart of their caretaker, Tsuchida. Of course, she’s no match for the beautiful Yamamoto, the kindergarten teacher in charge of the class next door, who happens to be Tsuchida’s infatuation. 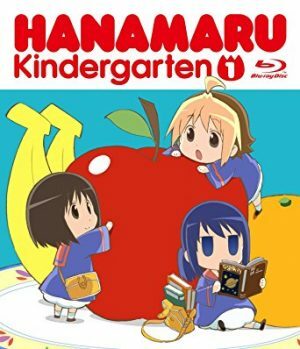 Hanamaru Kindergarten presents the most charming kindergarten girls and a child’s crush on her teacher. You’ll be puking rainbows after watching it. It just can’t get any cuter than this, not in a million years. That’s it for our list of Kawaii Anime; I sincerely hope it has satisfied your need for cuteness. There are many other cute shows out there such as Princess Valkyrie, Sergeant Keroro, Toradora and, for neko (cat) lovers, Shugo Chara and Tokyo Mew Mew. You can go ahead and tell me how much you like Kawaii Anime! Did I leave any kawaii classic out of the list? Which are your favorite kawaii characters? Let’s share our passion for adorableness.